Watch the red carpet World Premiere of "Spider-Man: Homecoming" Tonight! 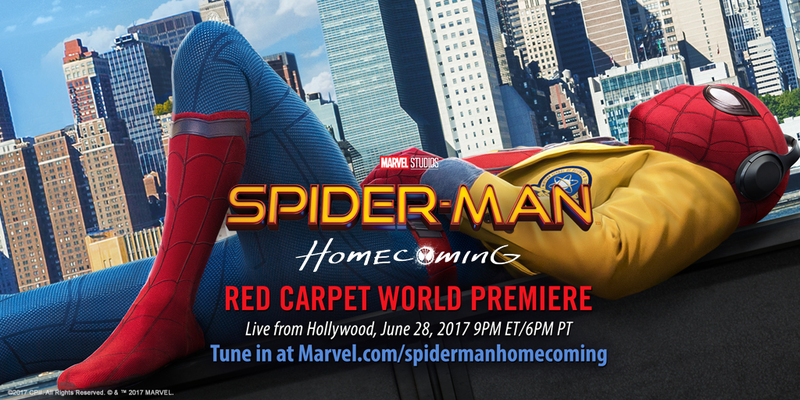 Sony and Marvel proudly invite one and all to experience the World Premiere of "Spider-Man: Homecoming," LIVE from Hollywood! On June 28, 2017 at 6:00 p.m. PT/9:00 p.m. ET as your favorite stars arrive at the legendary TCL Chinese Theater!